24 High Quality Filter-Types: Butterworth/Legendre/Bessel Filters as high/low-cuts; high/low-shelf filters & Bandpasses. 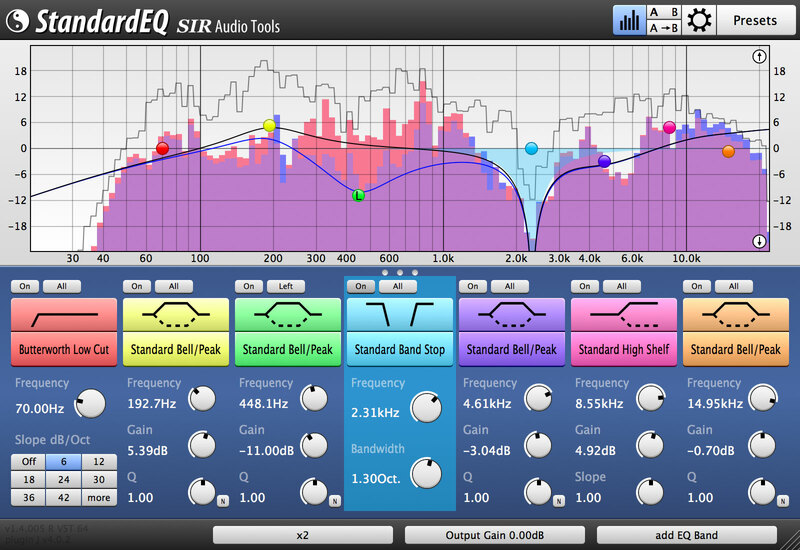 Every filter can work in left/right/mid/side mode or can process channels individually. Up to 50 filters in one plugin instance. All main parameters/filters can be used with automation. 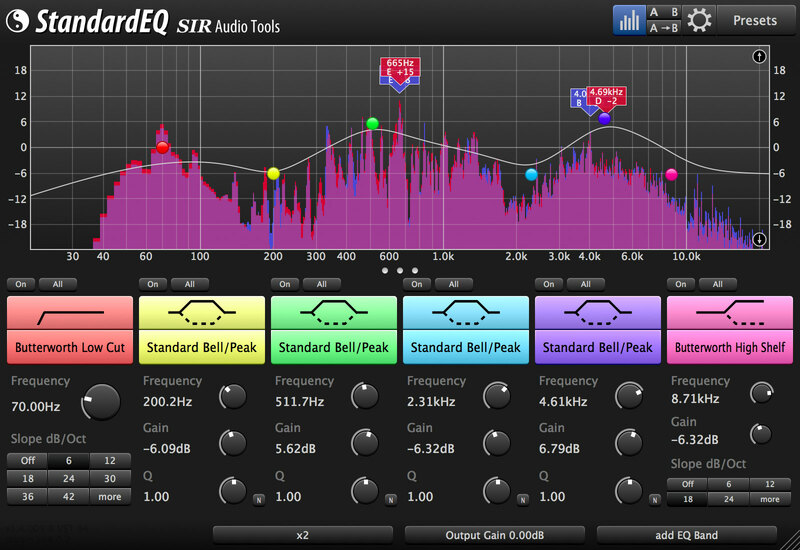 StandardEQ includes a very flexible spectrum analyzer, which allows you to display the spectral content of your audio material in many ways. 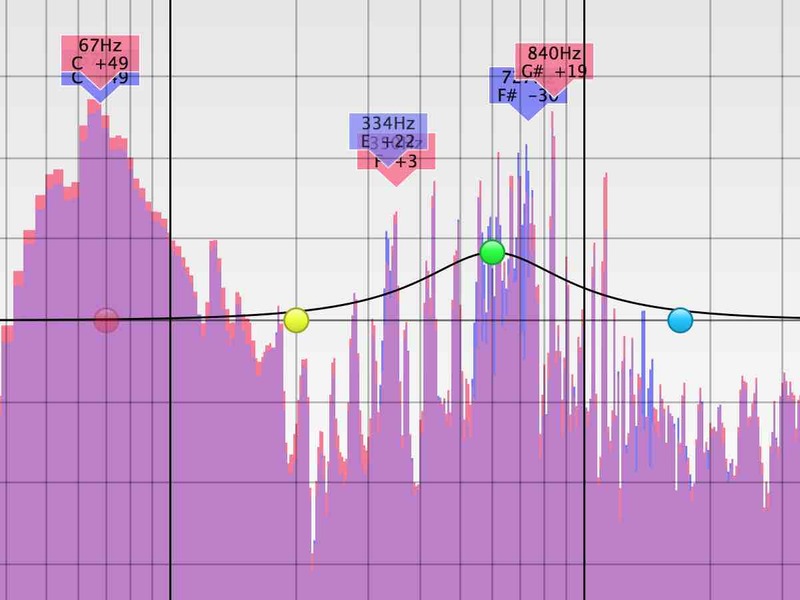 The analyzer has BOTH, a FFT (Fast-Fourier-Transform) and an analog-style (parallel band-pass IIR filter) engine, which allows you to detect even short transients (unlike FFT). You can customize the analyzer for your special needs with a lot of different options. With Intelligent Peak Detection you can find resonant frequencies easily. 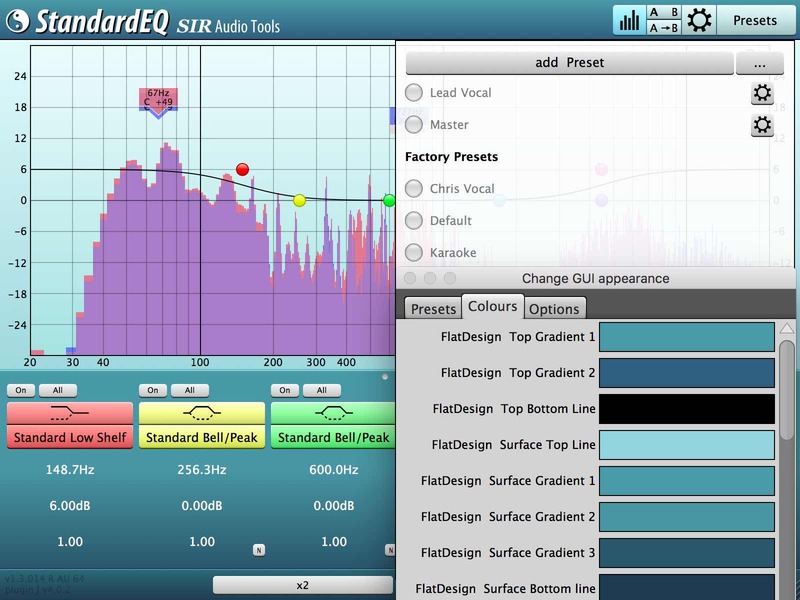 The StandardEQ Analyzer has also lot of other adjustable parameters like Release-Time / Smoothing / FFT-Size / Filter-Steepness / Hold / Mid-Side Analysis. 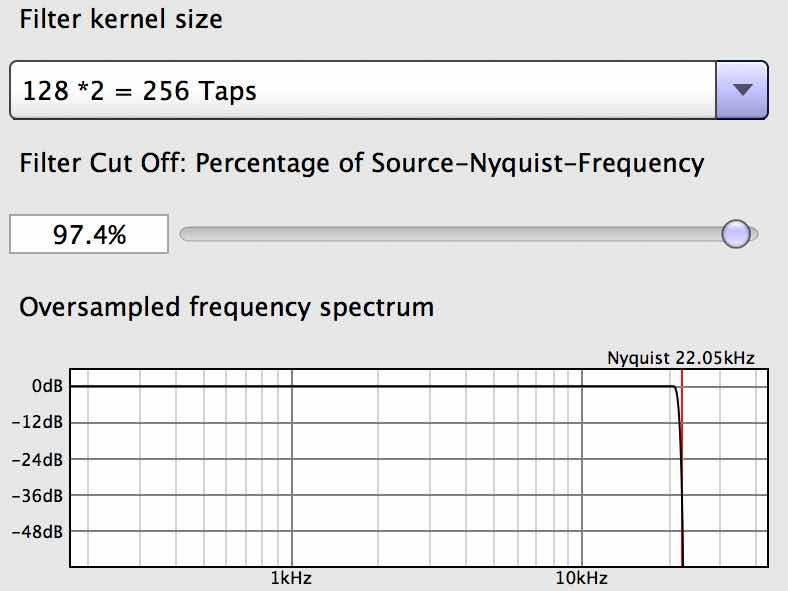 StandardEQ uses Oversampling for highest precision, symmetric behavior and natural phase response near Nyquist-frequency. Link gain/Q option, with proportional or inverse behavior. StandardEQ is Multi-Channel aware. Its possible to process and analyze up to 8 channels. Resize-able and Scale-able Interface, Adjustable Display-Range & Interface Colors. 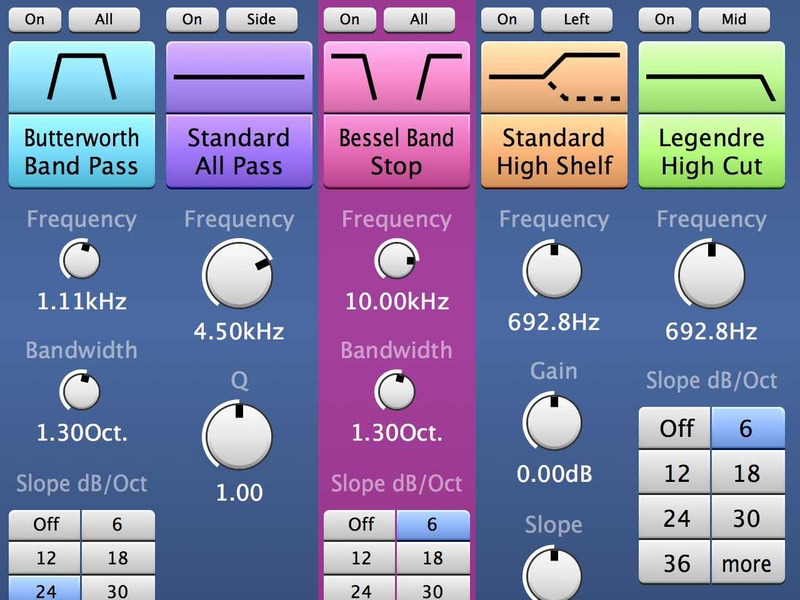 Preset-Manager and A/B compare-switch. Add filters with double click on the display.